The study investigated gender discriminatory behavior from a developmental perspective by examining 3 age groups: early adolescents, late adolescents, and young adults. In addition the study investigated the relationship between self-perception of traditionally masculine and feminine characteristics and gender discriminatory behavior across these 3 age groups. We predicted that due to gender intensification and conformity, that are characteristics of adolescence, adolescents would evidence greater gender discriminatory behavior than young adults. Early and late adolescent males and young adult males (n = 3233) were given a description of either an average or outstanding male candidate behaving stereotypically or counter-stereotypically and were asked to indicate their personal election choice, the likelihood that others would choose each candidate and how successful he would be should he be elected. They were also asked to indicate their affinity and perceived similarity to the candidate. In addition, they completed an adapted form of the BSRI [Bem (1974). J. Consult. Clin. Psychol. 42: 155–162], measuring their self-perception of traditionally masculine and feminine characteristics. 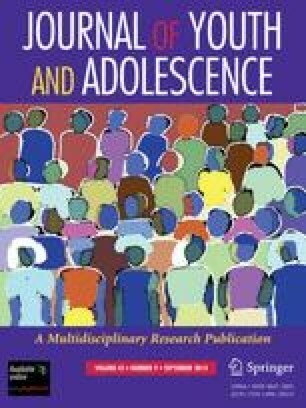 As predicted, adolescents exhibited greater discriminatory behavior than young adults. No differences were found between the 2 stages of adolescence. In addition, feminine males evidenced less discriminatory behavior towards the counter-stereotypic male than the other gender role groups. The results are discussed within the framework of developmental changes.